Circuit Judge Jim Hill informed the prosecution and defense that the jury selection in the Michael Brandon Kelley case will begin on Aug. 27. The trial date is set for Aug. 30. Kelley, is charged with the murder and torture of 23-year-old Emily Milling of Leeds in November of 2008. Kelley was indicted by a grand jury in April of 2009 on two counts of capital murder, one count of capital murder during a kidnapping and one count of capital murder during sexual abuse. The grand jury also indicted him on one count of sexual torture. At the status hearing Tuesday, Kelley’s lawyers tried to make several motions for the court to not allow the death penalty for their client, if convicted. Each request was denied. A St. Clair County jury recommended the death penalty for a man convicted of a 2008 strangling in Leeds. Thursday afternoon the same jury convicted 29-year-old Michael Brandon Kelley of two counts of capital murder and one count of sexual torture. He is guilty of brutally beating and strangling 23-year-old Emily Milling in November 2008. PELL CITY – A St. Clair County Judge upheld the recommendation of a jury and sentenced a Moody man to death Thursday morning. St. Clair County Judge Jim Hill sentenced Michael Brandon Kelley, 29, of Moody to death for the capital murder and sexual torture of Emily Milling, 23, of Leeds. St. Clair County District Attorney Richard Minor told the judge Thursday that it was two years ago Wednesday night that Milling’s body was found along Markeeta Road. “On Sept. 2, the conscience of St. Clair County spoke, right there from the jury box,” Minor said. That’s when a St. Clair County jury recommended by a 10-2 vote for the death penalty in the capital murder case. The jury unanimously found Kelley guilty of two counts of capital murder and one count of sexual torture. During the sentencing phase of the trial two of the 12 jurors recommended life without the possibility of parole. “The state asks the court to show Brandon Kelley the same mercy he showed Emily Milling,” Minor told the court Thursday. According to testimony, Milling was sexually tortured, choked and brutally beaten to death. At the criminal trial in September, Kelley took the stand, blaming the murder on two unnamed men he met through work. “I did not kill Emily Milling,” Kelley testified from the witness stand. The jury apparently did not believe Kelley’s story and delivered a unanimous guilty verdict. At Thursday’s hearing, three people took the stand, asking the judge to spare Kelley’s life. Kelley’s father, Michael Kelley, told the judge that he would work until his dying day to prove his son’s innocence. Kelley’s daughter also took the stand at Thursday’s sentencing hearing. “I love my daddy very much,” the girl said. A neighbor, Linda Golden, also asked the judge to spare Kelley’s life. “I’m here today to ask for mercy,” Golden said. Hill told the people in the court-filled room, that the jury heard from defense witnesses, family and friends, before rendering their sentence recommendation in September. He said in less than an hour the jury recommended the death penalty by a 10-2 vote. Hill said he asked the jury not to allow emotions or prejudice to enter into their decision. “And I can’t either,” Hill said. The judge then sentenced Kelley to death. “Oh, my God,” Kelley’s mother said immediately following the judge’s sentence. The woman wept uncontrollably as the victim’s family and close friends were lead from the courtroom. Defense attorneys representing Kelley declined comment after the sentencing hearing. Boone commended the City of Leeds Police Department for helping bring justice for Emily Milling. “The verdict and sentence were brought about by the great work of the Leeds Police Department,” Boone said, specifically commending the “excellent” work of Leeds Police Department Sgt. Renee Reaves, who was the lead investigator in the case. There is an automatic appeal in death penalty cases. A St. Clair County Judge denied a motion for a new trial for a man convicted of capital murder and sentenced to death. St. Clair County Circuit Court Judge Jim Hill denied a motion this week for a new trial filed by Pell City attorney Don Hamlin on behalf of Michael Brandon Kelley, 30, who was convicted of the capital murder and sexual torture of Emily Milling, 23, of Leeds. In November, Hill followed the 10-2 recommendation of a St. Clair County jury and sentenced Kelley to death. Kelley is awaiting execution at the Holman Correctional Facility. There is an automatic appeal in all death penalty cases. Hamlin asked for a new trial for Kelley based on insufficient information provided by the arresting officer for the search warrant of Kelley�s vehicle and mobile home. The evidence collected inside the suspect�s vehicle and home helped convicted him last September. Hamlin also alleged that the warrants could only be served during the day. �It was executed at 11:30 p.m.,� Hamlin said. Hamlin also asked the courts for a post-verdict judgment of acquittal. He alleged evidence against his client was gathered by authorities with illegal search warrants. �Since the affidavits do not contain the proper requirements, then probable cause never existed for the search warrants to be issued,� Hamlin wrote. He also said the trial judge erred in denying defense counsel�s motion for a mistrial or in the alternative continuance for time to investigate new evidence discovered during the trial. The courts appointed Pell City attorney Jennifer Sellers for Kelley�s appeal. In September, Kelley was found guilty of the capital murder and sexual torture of Emily Milling. At the criminal trial, Kelley took the stand and blamed the murder on two men he met through work. He denied he killed Milling. The jury apparently did not believe Kelly�s story and delivered a unanimous guilty verdict. Within an hour after deliberation, the jury also recommended by a 10-2 vote Kelley face the death penalty for his actions. In today's orders, the United States Supreme Court declined to review Kelley’s petition for certiorari. The Alabama Criminal Court of Appeals has denied the rehearing of a St. Clair County death row case. In last week's order list issued by the court, the Criminal Court of Appeals denied an application for rehearing for Michael Brandon Kelley. On Jan. 22, 2018, the Supreme Court denied the review of his case in their weekly list of orders, as well. Kelley, 29, was convicted on two counts of capital murder and one count of sexual torture in St. Clair County. He was first sentenced to death row in 2010. According to court records, Kelly was sentenced to death in the murder and sexual torture investigation of Emily Milling, 23, of Leeds. The body of Milling was found along a St. Clair County. Kelley was arrested on Nov. 19, 2008, at a Days Inn in Pico Rivera in Los Angeles. He was then extradited to Alabama. The state's highest court won't hear the cases of three Alabama Death Row inmates. The Alabama Supreme Court announced Friday in its weekly order list that it has denied writs of certiorari--or requests to review--the cases of David Phillip Wilson, Michael Brandon Kelley, and David Dewayne Riley. All three men are currently awaiting execution at Holman Prison in Atmore. 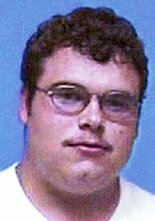 Wilson, 34, was convicted and sentenced to death in Houston County for the death of Dewey Walker in 2004. Walker, a 64-year-old suffering from cancer, was found dead in his Dothan home after he failed to show up for work for several days. Kelley was convicted in St. Clair County on two counts of capital murder and one count of sexual torture. He has been on death row since 2010. In January, the court denied a writ of certiorari for the inmate, but he petitioned to the Criminal Court of Appeals. That court denied his application for rehearing in June. Kelley was 29 at the time he was convicted of killing 23-year-old Emily Lynn Milling, whose body was found off River Road in Leeds in November 2008. Witnesses testified at Kelley's trial that Milling had been choked and beaten to death. Riley's request to the Alabama Court of Criminal Appeals was denied in March. Riley is on death row for his convictions in the 2005 slaying of 38-year-old Scott Michael Kirtley, who was shot to death during a liquor store robbery. Riley was convicted for a second time in 2011, after the Alabama Court of Criminal Appeals threw out his original 2007 case. The court's order is based on a 2015 petition filed by Riley, which claims he had ineffective counsel at his second trial. That appeal was denied by the circuit court in 2016.